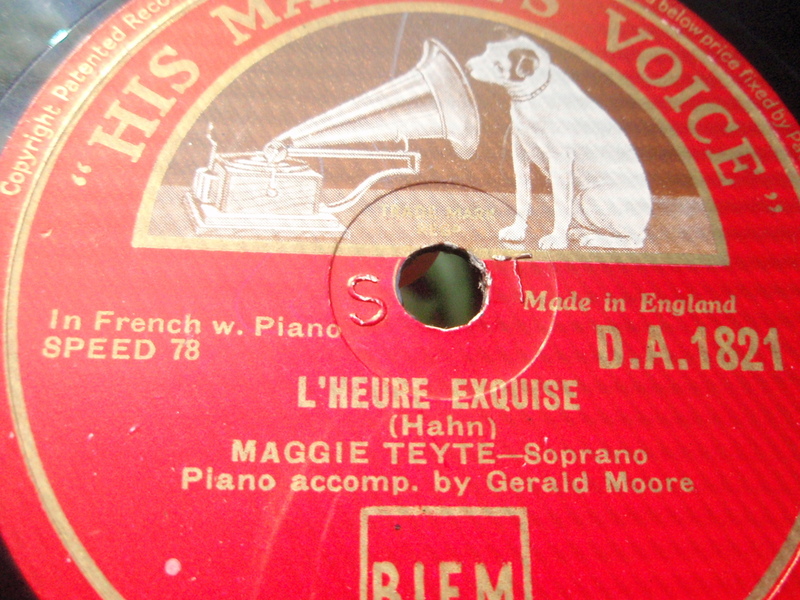 Maggie Teyte (1888-1976) is one of my favorite singers of all time, and although her interpretation of Debussy’s songbook is one of my all time favorite works, I decided to post this song: L’heure Exquise by Reynaldo Hahn. Together with Gerald Moore, who is regarding the piano accompaniment most tenderly, she sings this beautiful tribute to “the exquisite hour”. This one is dedicated to my beautiful Venus, with whom I have listened to this side over & over again all throughout these last couple seasons.